Our team does not only work to provide the widest variety of hardware support, but also the best! This also implies offering advanced features for all systems! Note: SSSP 4 will also get this update soon! These well-known features for Android devices are now available for Samsung, LG and Chrome OS devices! Brightness Control - Set different brightness levels for each time of the day! Time Triggers - Set content to be displayed during a specific time. Read tutorial. 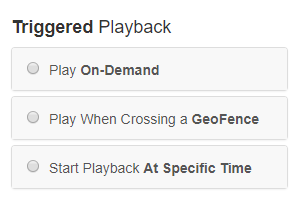 Time Triggers Queue - This will gracefully queue content in case you request the player to play multiple campaigns at the same time. 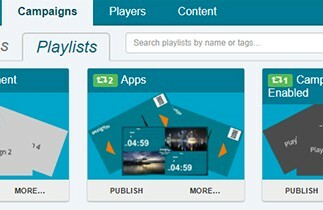 Campaign Cycling - Build elaborate playlist structures easily with this powerful tool! See how it works. Welcome Loop - Choose that campaign that will be triggered once the device starts as a welcome message! Fallback Loop - Simple but very handy feature! Make sure content will be displayed even when there is nothing scheduled. Read more! Just reminding, all these features were already available in Android, Windows, Mac and other supported OS! Stay tuned! We have more great news coming soon!